Now in it’s 3rd year, the Uncork Summer Food, Wine & Music Festival is a much-loved addition to Olde Ellison Bay Days, which also features arts and crafts, art demos, kids activities, a parade, food, and lots of fun throughout the day on Saturday, June 25th. 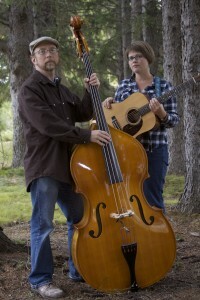 Uncork Summer starts at 10am on the grounds of Wickman House (11976 River Rd. Ellison Bay, WI 54210). From 10am-2pm meet the host of Public Television’s Wisconsin Foodie program, Kyle Cherek, who will give a keynote address on Farm-to-Table Dining starting at 12:30pm on the main stage under the big tent, followed by demonstrations by Chef Terri Milligan and Chef Janice Thomas. Throughout the event enjoy live music from Small Forest and the Katie Dahl Band while you sample from dozens of participating restaurants including Bearded Heart Coffee and Harbor Fish Market (Baileys Harbor), Door County Creamery and Sub Express (Sister Bay), Shoreline Restaurant (Gills Rock), The Fireside Restaurant, Mink River Basin, Island Orchard Cider, and of course Wickman House (Ellison Bay), and many more! 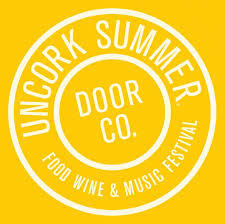 Admission to the Uncork Summer Festival is just $5 and Food and Drink Tickets may be purchased at $5 each (each drink or dish = one ticket). Free Parking is available at the Liberty Grove Historical Society, with shuttle service to and from the festivities. Due to another event, Hwy 42 will be closed in Egg Harbor, so you may want to take the scenic drive up Hwy 57 to avoid detours! Find GPS directions and click-to-call phone numbers for all of Door County’s wonderful restaurants, including those participating in Uncork Summer, on the Door County Chefs FREE Mobile Dining App on iTunes and the Google Play Store!